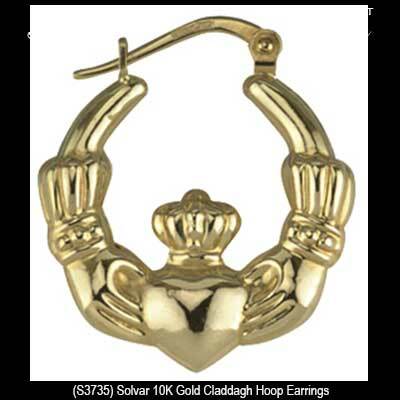 These Claddagh hoop earrings are a large size that are cast in 10K gold. 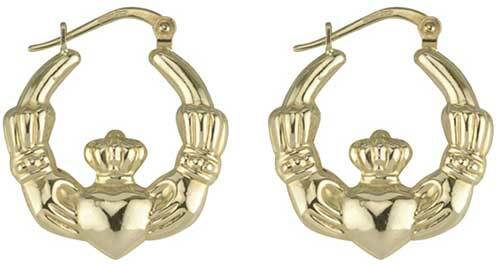 These double sided Claddagh hoop earrings are crafted in 10K yellow gold. The lightweight and hollow gold Claddagh earrings measure 3/4” wide x 7/8" tall, and feature hinged fasteners.